When you find a brand you like of something in Malaysia, due to poor supermarket stocking and purchasing, you may not find it next time, or ever again. Thus there is a constant search for crisps, peanut butter etc., where I am always looking for replacements for the brands I like, but which I can no longer buy. My requirements include glass packaging (as plastics may leak into the food), natural ingredients, and no nasty chemicals. Now I have found a peanut butter that fulfills these, and is almost half the price of the previous brand that I can no longer purchase. Move tomatoes to a bowl and run cold water into the bowl so it overflows, cooling the tomatoes so you can peel them by hand. Put into pot, add rock salt chunks from Brittany (Jusco), bay leaves, dried basil, thyme, oregano, and simmer for 4 hours. Turn off heat and stand overnight. Simmer the next day again. The original article is below. This is an ongoing topic, because as people become more aware of the harm this substance does, more products and more restaurants avoid its use. I had a chat with the chef at E & O yesterday, and he said that that he is avoiding the use of MSG. However, MSG is apparently in the chicken stock they use, so some dishes – such as the pea soup that they were serving that day – would actually have MSG in them. I managed to overcome an addiction – no, too strong a word – a desire to eat potato crisps, because of the MSG they started to put in them. It was hard to find any brands without MSG. A quick check the other day in Tesco yielded the following: Mackies of Scotland crisps – 150g packet for RM13.50; Tyrells (from England) 150g RM13.90 – had no MSG. I didn’t check every other brand this time, but in the past I had, so I suspect all the other brands still have MSG. You have to pay around an extra RM10 to avoid this poison, in other words. Monosodium Glutimate, a neuro-toxin, is an oft-used ingredient in Chinese, Malay and other local dishes. If you unaware of the effects of MSG, and what products contain it, please read the source article. MSG appears naturally in many foods, such as tomatoes, eggplant, cabbage but this is not at all harmful. I notice that very slowly restaurants are appearing which claim to add no MSG, but there are very few. A search on the web, like “Penang restaurants no msg” will bring up a few. For example, the Indian restaurant I at at the other day, d’Tandoor Restaurant, adds no MSG to their dishes. Depending on how sensitive your body is, you may be able to get away with eating some added MSG, but I avoid it as much as I possibly can. Old Town White Coffee’s set breakfast – my favourite choice is suddenly up 25% in price. Bread History’s cakes seem to have suddenly risen by at least a similar percentage. 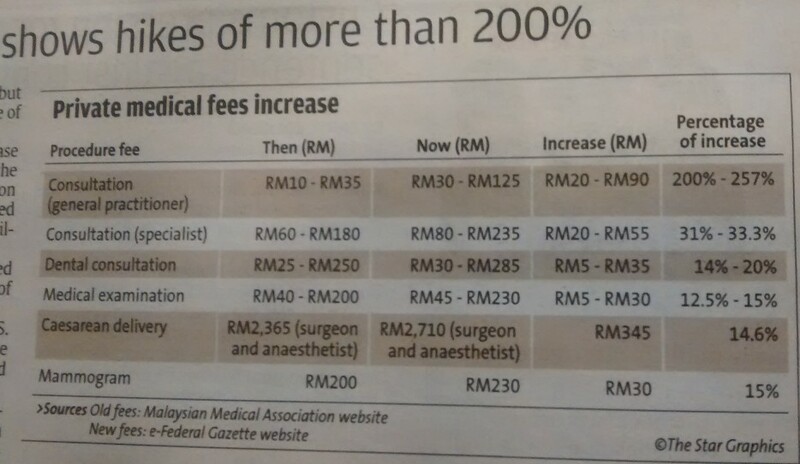 And while not exactly a price rise, Telekom Malaysia has changed the billing sequence so that the present bill is 50% more than usual – and thus they have exacted payment in advance for their service, and are holding our money. When establishments increase their prices so much, I may not cease to be a customer, but usually instead of being a regular customer I only purchase infrequently. As far as I am concerned, I have a very elastic demand, so their income from me drops dramatically. Several years ago I used to be a regular at Old Town for coffee, but they raised their price a lot, and since then it was really only their set breakfasts that were attractive – but now they have raised this price, I am not sure anymore. 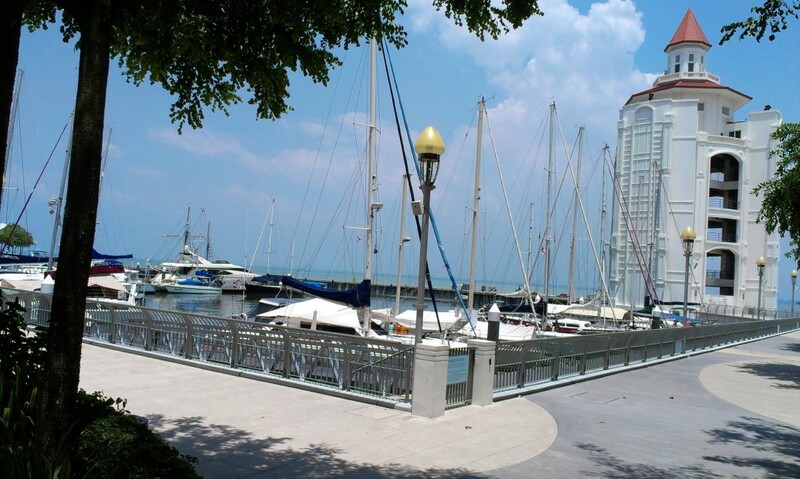 There is so much competition in Penang in the food and beverage industry, I wouldn’t have thought that the loss of business through dramatic price rises would actually lead to an increased profit. 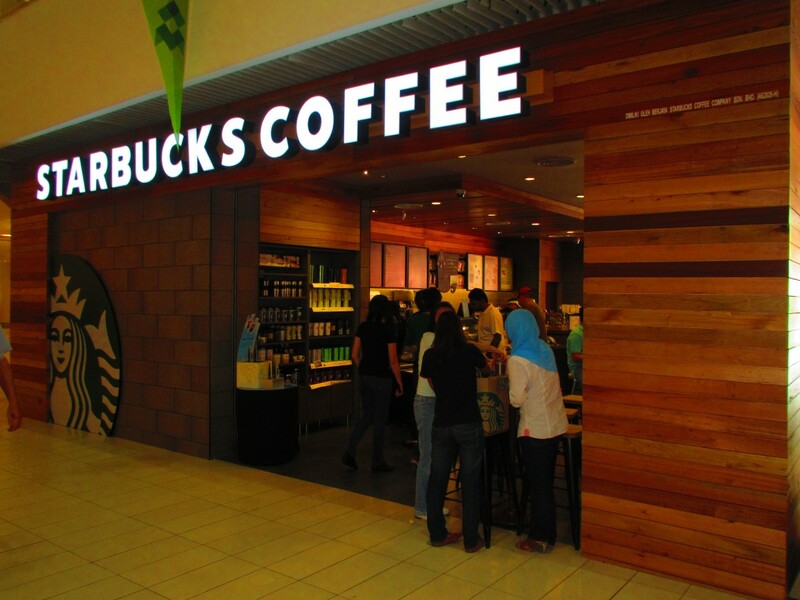 Coffee Island, of which I was a customer until their dramatic prices rises of February 2012, had been extremely popular. Other factors may also have been involved, but their business quickly collapsed thereafter. 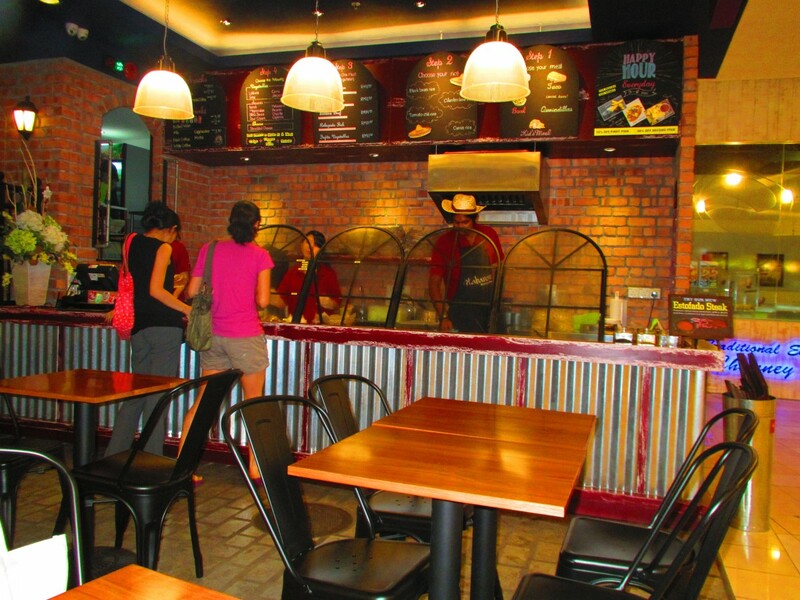 Then it became a moderately busy hawker centre for a while, and is now a Thai restaurant / hawker centre. The business they lost never returned. Well, there is always somewhere new to try, even in such a small island such as this. And that’s what I do. I move on to somewhere else in response. 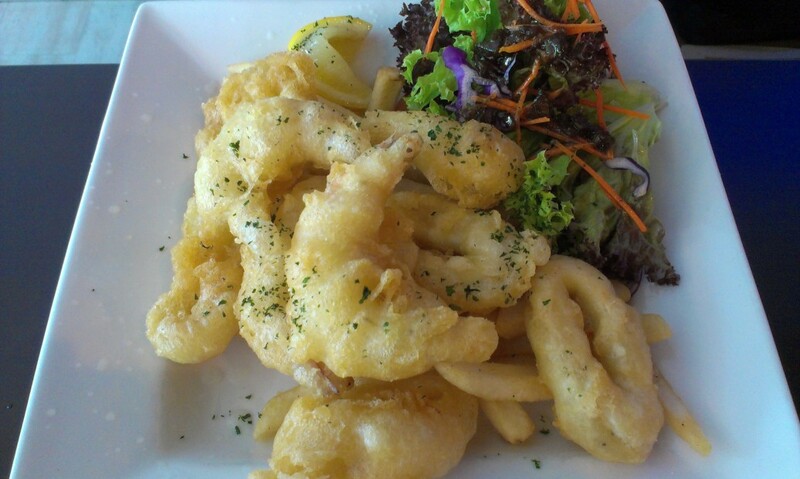 It’s nice to have fish and chips occasionally, but where in Malaysia can one get something nice? I thought I’d gradually try the offerings available when I find them. So, this blog is not yet too informative, but I’ll update it over time as I try different places. I rarely find chips that I like. Unless they are made directly from potatoes I don’t want to eat them. 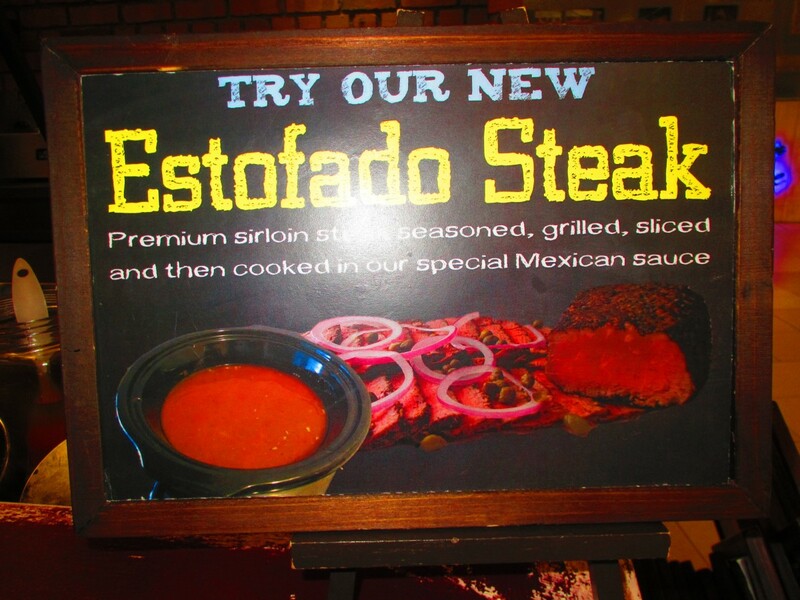 Frozen or reconsituted and shaped into chips – no thanks. If possible I swap them for salad or something else. 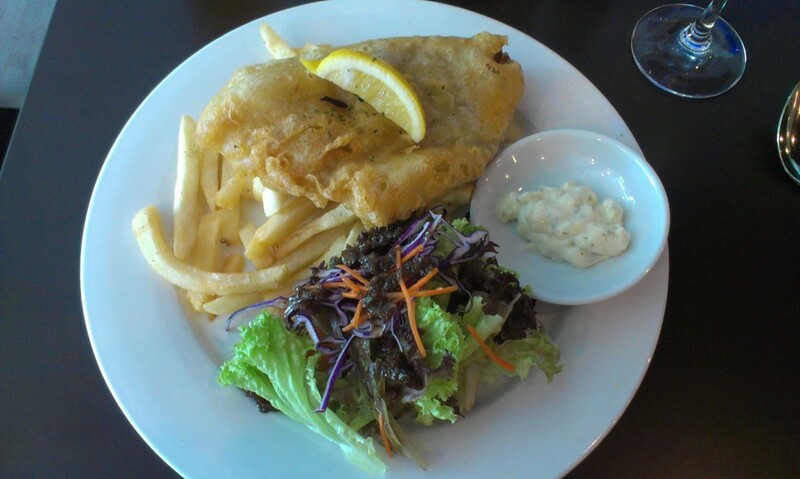 So far, my favourite is Scarborough Fish ‘n Chips, on the north coast of Langkawi, at Tanjung Rhu. 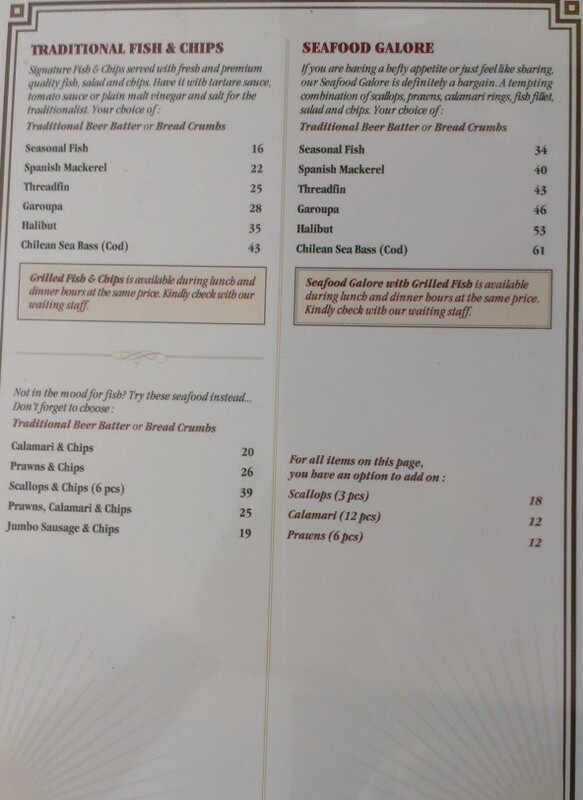 You have a choice of fish, all of which are nice, tartare sauce (ask for more if you need it), and nice chips. The atmosphere on the beach, the duty free beer and wine, also help make it nice there. Just show up, no reservation necessary. 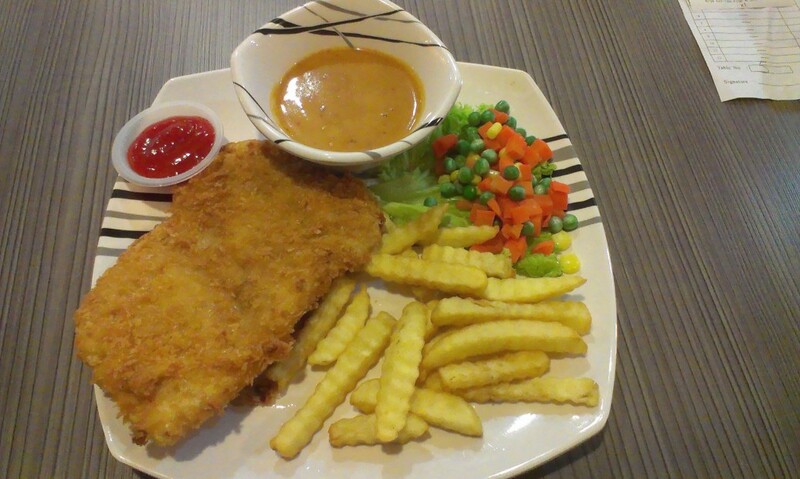 The other day in Gurney Plaza, I noticed that a chain coffee shop, Kopitam Classic White Coffee had fish and chips. 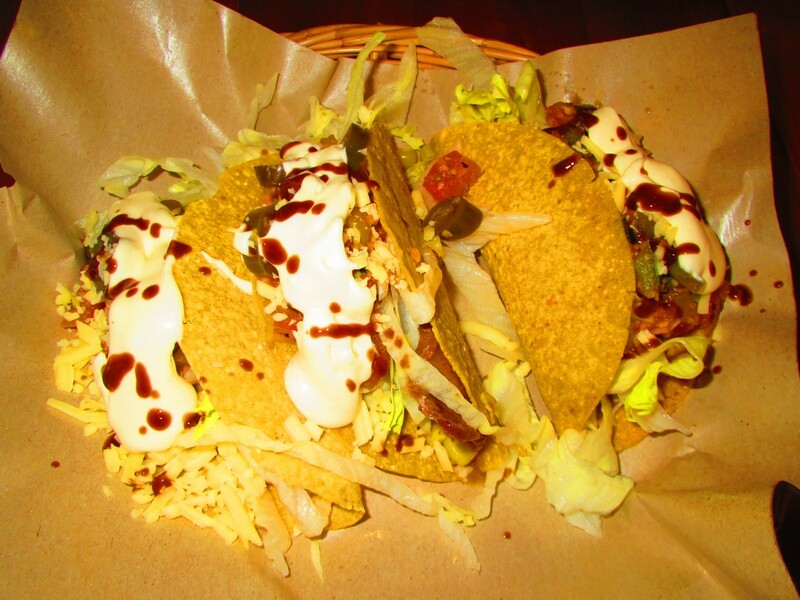 You had a choice of sauces – black pepper sauce, BBQ sauce or their own sauce. The fish was Dory, and was nice. Their sauce was a kind of sweet curry sauce, and was quite nice. The chips weren’t nice, and I left them, and the vegetables seemed sourced from a can or the frozen cabinet. The red sauce was a normal commercial chilli sauce. The price, before tax and service charge was RM10.50 for the dish, so not too bad, and the service friendly. Somehow I seem to have a fish and chips craving this week. 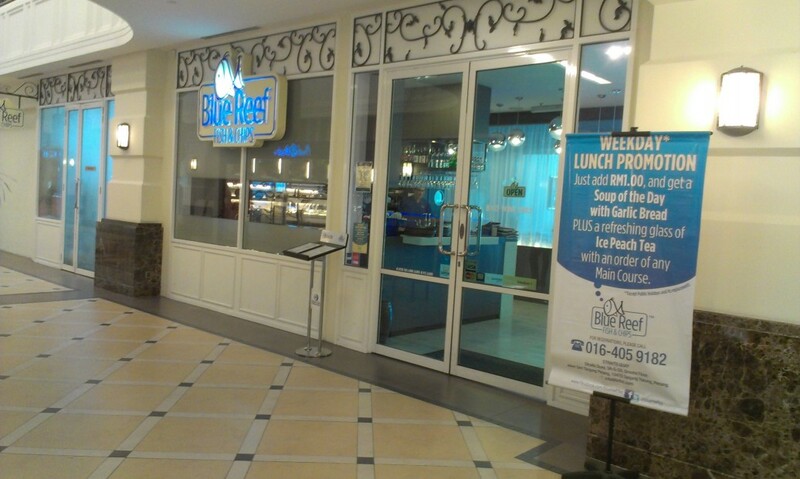 We’d heard that Blue Reef in Straits Quays served good meals at a reasonable price, so today we went for lunch. 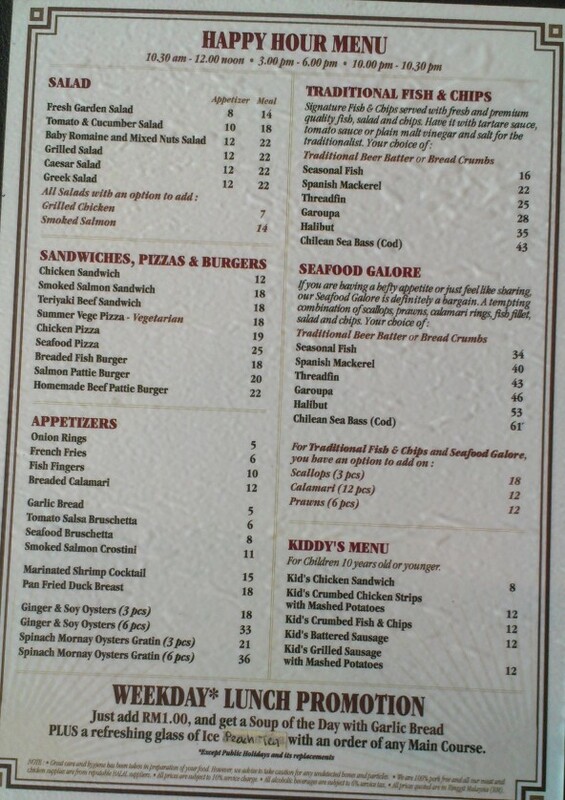 The menu is the same whatever time of day, except they have happy hour offerings. One really good thing is that they have an Australian kind of BYO (Bring Your Own) policy on wine, and no corkage charge. This doesn’t apply to beer, spirits, or champagne (a kind of wine, of course). 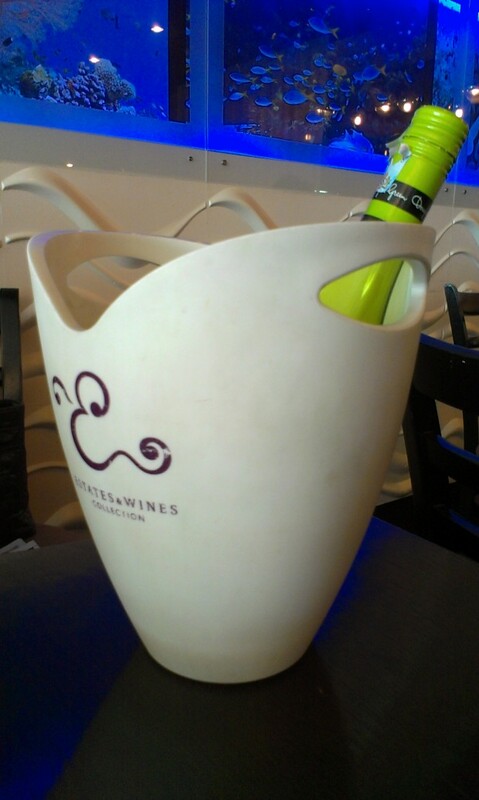 And they kindly offered an ice bucket for our white wine, to keep it cool, before I asked. 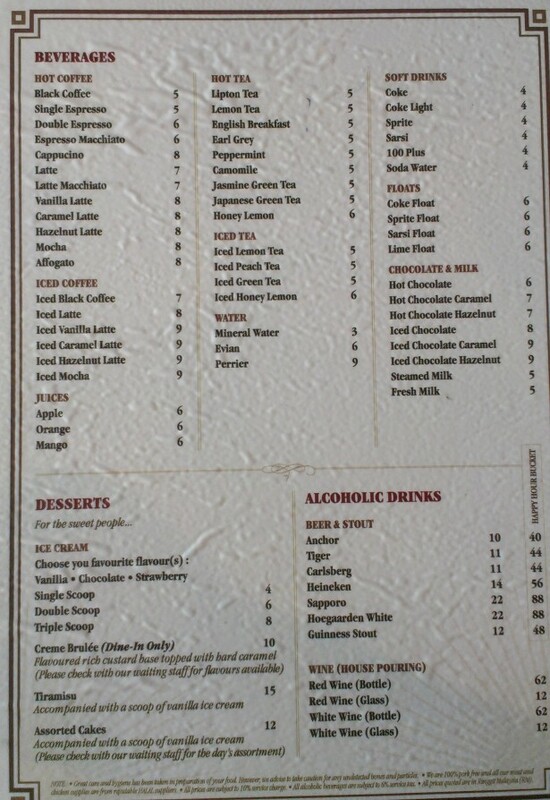 There are six menu pages, but I only photographed three, shown below. We availed ourselves of the weekday lunch promotion, which includes soup of the day, garlic toast and a diabetes inducing iced peach tea. 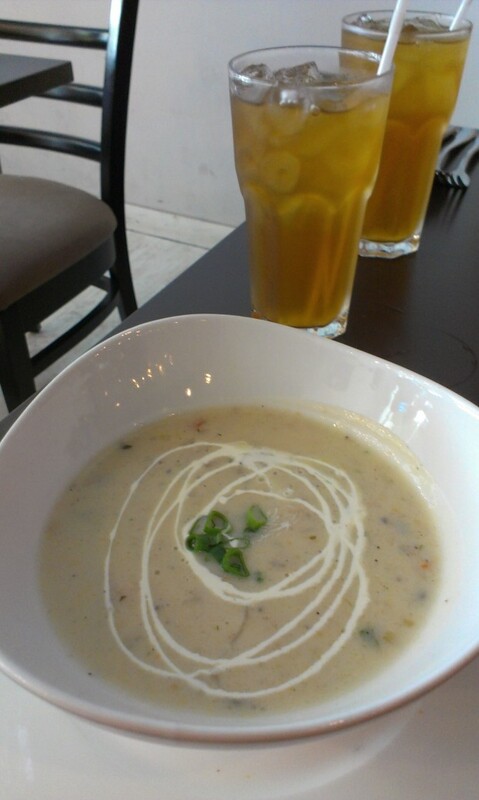 The soup was a fish soup, and of sufficient volume. The garlic toast was sliced bread, toasted with a hint of garlic, so one bite was sufficient. And the iced peach tea was so sweet my teeth threatened to dissolve if I had more than one sip. But, the soup was nice, so the lunch special was worth it, for RM1. Soon after the main course was delivered. I had ordered the seasonal fish in beer batter, with hollandaise sauce. This was very good, although the batter was a little too thick in places. 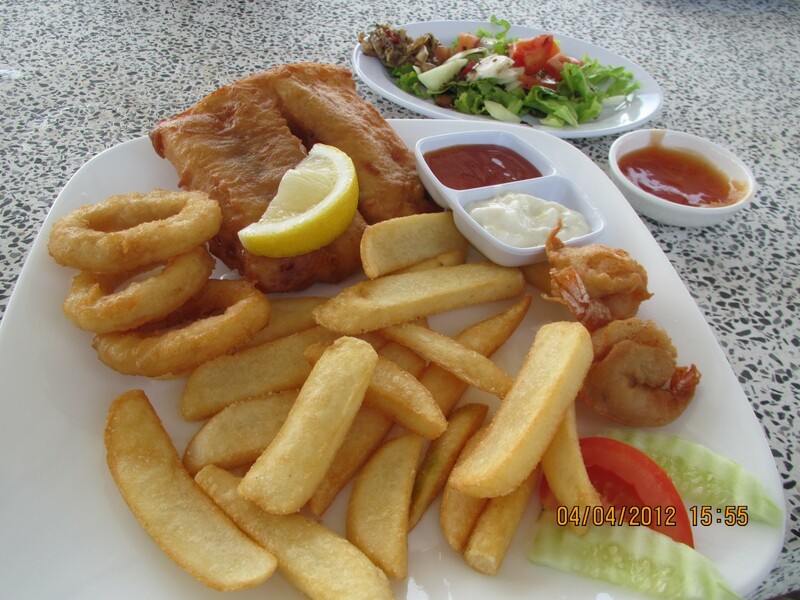 Mrs Tropical Expat ordered Prawn, Calamari & Chips – which to tell the truth she didn’t enjoy as it didn’t have much flavour. The serving volume was good for all dishes. 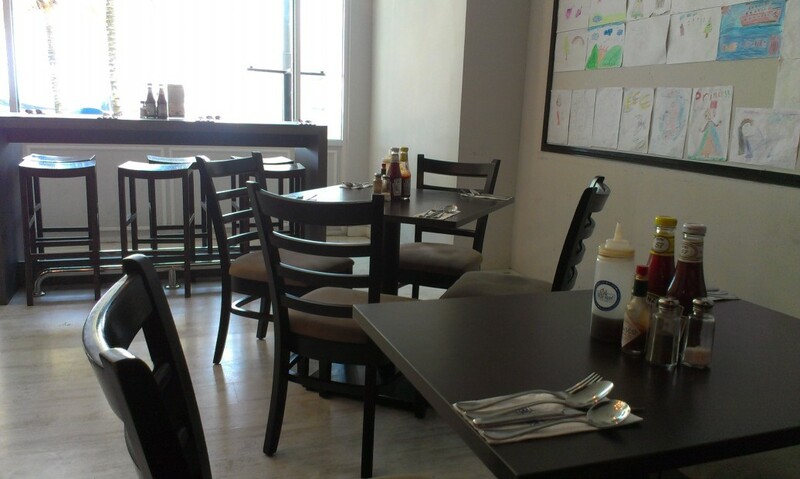 The staff were friendly and helpful, and it was a pleasant spot to be. While we were there it was quite popular, and people were coming and dining and going. And being able to have a couple of glasses of white wine with the meal without the usual expensive prices for it was great. Disappointments? Mrs Tropical Expat’s main course. Opening hours: 11:00AM – 10:00PM every day except Mondays.